Hanging your orphans’ rags on the wash line. In the barns and in the sun’s blood. During the early stages of Darwish’s career, the poet used nature as a means to resist the Israeli occupation. 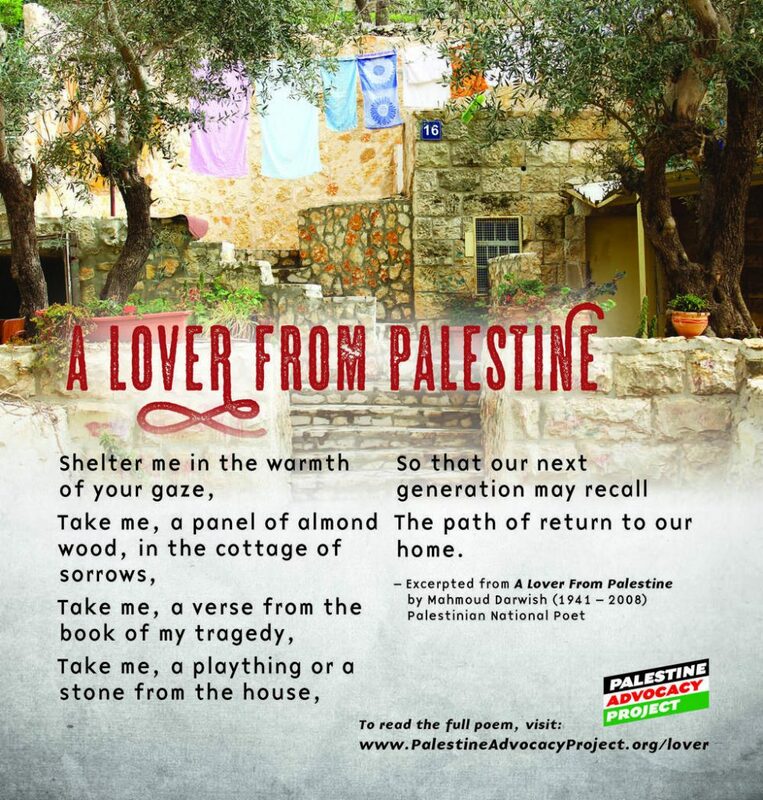 This poem entitled ‘A Lover from Palestine’ is a prime example of the way in which Darwish uses nature to express the connection between himself, ‘the lover,’ and his beloved ‘Palestine’ in order to illustrate how inseparable the two are from one another. The poet symbolizes the Palestinians as a “palm tree,” which cannot be uprooted from the land by the Israeli occupation, symbolized here as the “storm,” because Palestinians, like the palm tree, are rooted in the land.